Two books stand out from all the others published this year. Of the hundreds of bicycle books published this year (the category is booming) two stand out. Each, in their own way, will remain important long after 2014. The book’s cover features the long-lens photograph that first went viral on Twitter and soon became the weekend’s most iconic image – a river of riders merging with a sea of fans on the “Côte de Buttertubs”. As the book relates, this now-famous shot was no fluke – it was crafted by James Maloney, a staff photographer on the Liverpool Echo and one of the partners on Spin Cycle magazine. While Two Days in Yorkshire is a fitting record of a historic event Bicycle Design is a book on bicycle history that will last the test of time. Historians Tony Hadland and Hans-Erhard Lessing have produced the definitive history of one of the world’s best inventions (and I’m not just saying that, the bicycle is often in best-ever invention lists because it beautifully, and efficiently, translates human power into meaningful propulsion – such as ascending Buttertubs). 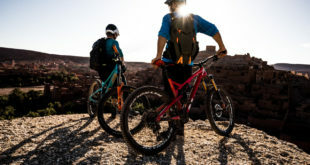 Fittingly published by the imprint connected with one of the world’s most prestigious technical universities (the MIT Press is affiliated with the Massachusetts Institute of Technology) Bicycle Design is, as you’d expect, dripping with facts, but it’s far from boring. Hadland, author of a biography of Raleigh, and Lessing, formerly Professor of Physics at the University of Ulm, have produced a condensed encyclopaedia that’s as entertaining as it is readable. Lessing is the bike boffin who proved that Leonardo da Vinci didn’t create the world’s first bicycle – this and other myths are shot out of the water in Bicycle Design. Think the bicycle was “invented” in Scotland or that Messrs Sturmey and Archer designed the first Sturmey-Archer gear? Read this book, and think again. 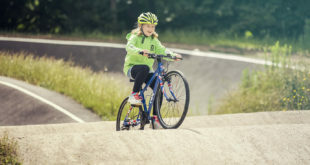 Showing the breadth of history covered in the book Bicycle Design’s cover features an 1817 Draisine (a balance bike with two wheels in line, and front wheel steering) next to the Lotus 108, as used by Chris Boardman to win the 4,000-metre sprint in the Barcelona Olympics in 1992. Bicycle Design is the authoritative one-volume reference on cycling history and cannot be recommended highly enough. Two Days in Yorkshire is published by Pan y Agua Velo Europe Ltd, £35. It features over 200 photographs in a large format book. Bicycle Design is published by The MIT Press, £24.95. 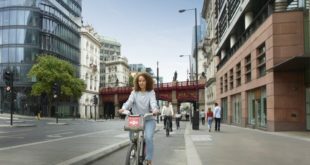 Previous Which are the worst UK towns to be without a car?